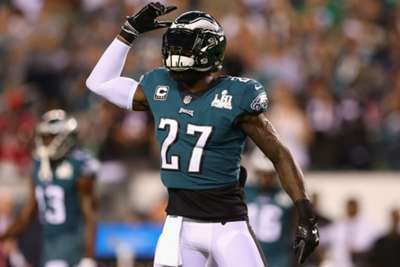 The Philadelphia Eagles will thrive on being viewed as underdogs once more after an indifferent start to the season, according to safety Malcolm Jenkins. The defending Super Bowl champions were among the favourites to claim the Lombardi Trophy again at the start of the season but, with a 4-4 record midway through the campaign, few are still tipping them to reach the NFL's showpiece game in Atlanta. However, Philadelphia are just one game back from the NFC East-leading Washington Redskins ahead of their Week 10 clash with the Dallas Cowboys and picked up momentum before their bye by beating the Jacksonville Jaguars in London. The Eagles relished having the underdog tag last season after starting quarterback Carson Wentz was injured and Jenkins thinks being written off again will suit them. "I think at this point we're back to where we're used to - being the underdog," Jenkins told Omnisport. "Coming into that (Jaguars) game with a losing record and now only being 4-4, it's not necessarily like we're the team to beat any more, which I think is good. "It’s a place that we're familiar with, it’s a place we're comfortable with. With the majority of our season out in front of us, it's encouraging. "It hasn't been the fairytale start that we'd all wanted - to meet all the expectations that everybody has. But when we step back and look at our season so far, it's not out of our reach at all. "We're right in the thick of it. Sometimes we've got to remind ourselves to stick to the process, know where we are and just continue to play." Golden Tate is getting to know the City of Brotherly Love. The Eagles lost three tight games to the Tampa Bay Buccaneers, the Tennessee Titans and the Minnesota Vikings early on, while they squandered a 17-point lead in the fourth quarter in a defeat to the Carolina Panthers. Defensive end Brandon Graham has taken note of how quickly Philadelphia turned from Super Bowl favourites to afterthoughts in some people's eyes. "People kind of gave up - they give up on you fast when things go bad," he said. "It's great for us because through it all we stayed together. "You are going to have that target on your back [after winning a Super Bowl]. All I care about is winning; that cures everything."